Travel Polska is a campaign for PolRail, a national Polish railway, in order to promote travel within Poland and celebrate its historical cities. 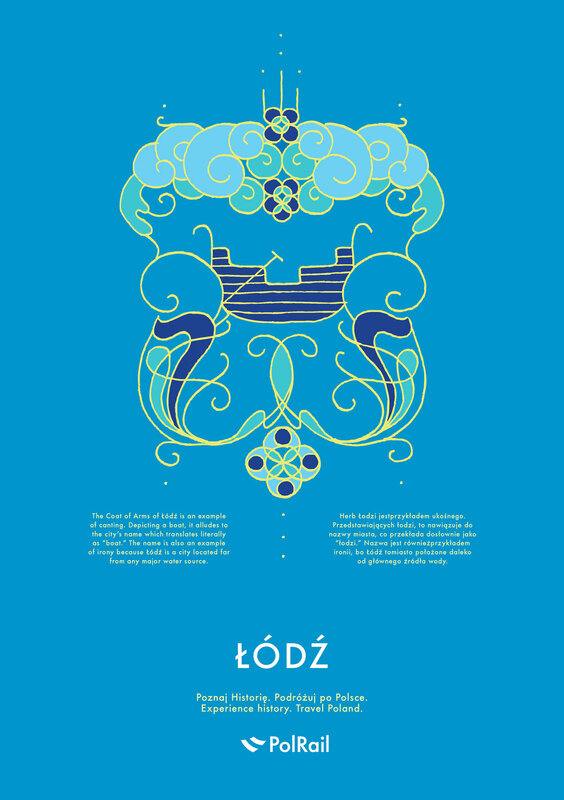 Inspired by early Polish poster art beginning in the 1890’s, each poster features a major Polish city and its corresponding, reinterpreted coat of arms. Posters also feature historical information, translated in both Polish and English, describing the unique coat of arms associated with each city. Source: “The Legacy Of Polish Poster Design” by Andrea Austoni for Smashing Magazine. “Stained Glass” window covering design for Dos Diablos Taco Bar in Boston, Massachusetts. Dos Diablos is a gothic-inspired, colorful bar serving margaritas and tacos to the Symphony neighborhood. 60-page guide book written through the lens of my own personal journey with ADHD and self-directed neurological research. The book describes general attitudes, tools, and strategies in a six-step process designed to improve your workspace and reduce stress associated with an unhealthy environement. 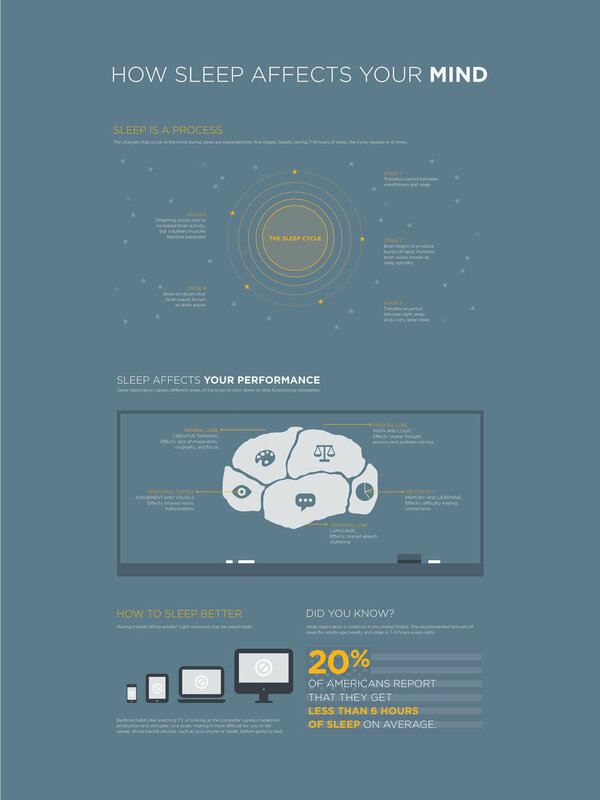 Infographic triptych illustrating how sleep affects your overall health: body, mind, and spirit. 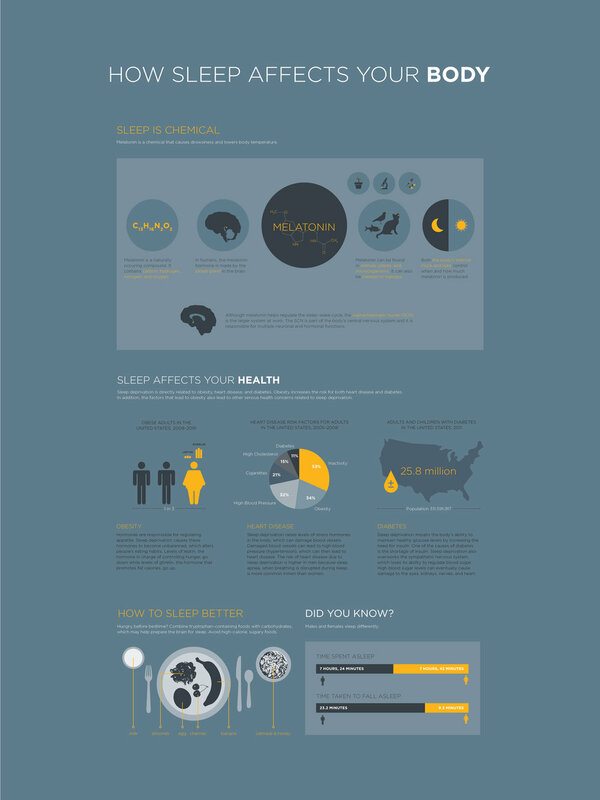 Posters are designed to function both individually and together, providing educational material for a range of medical environments. Information presented in both poster and booklet formats. Typographic tribute to avant-garde artist and composer John Cage, featuring “An Autobiographical Statement” (1990) by John Cage. The 35-page accordion-fold book also includes notable quotations and a running timeline highlighting significant events from the text. 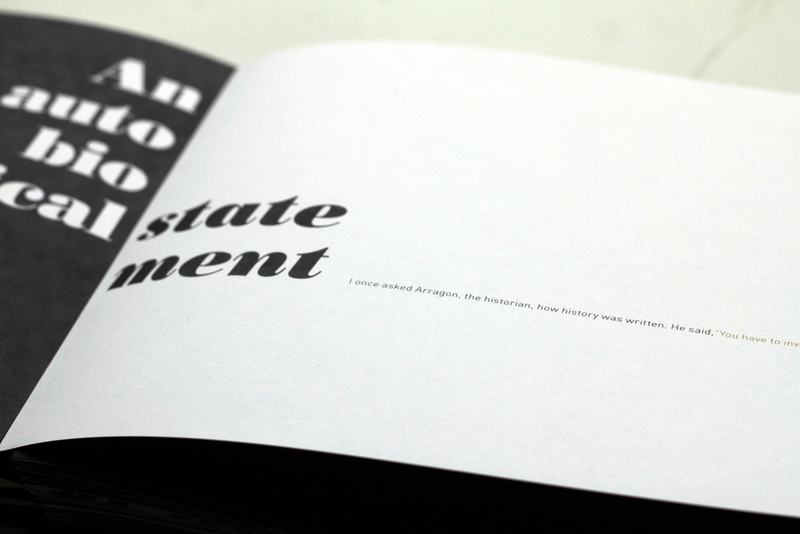 Printed on French Paper 100# text in Smart White. 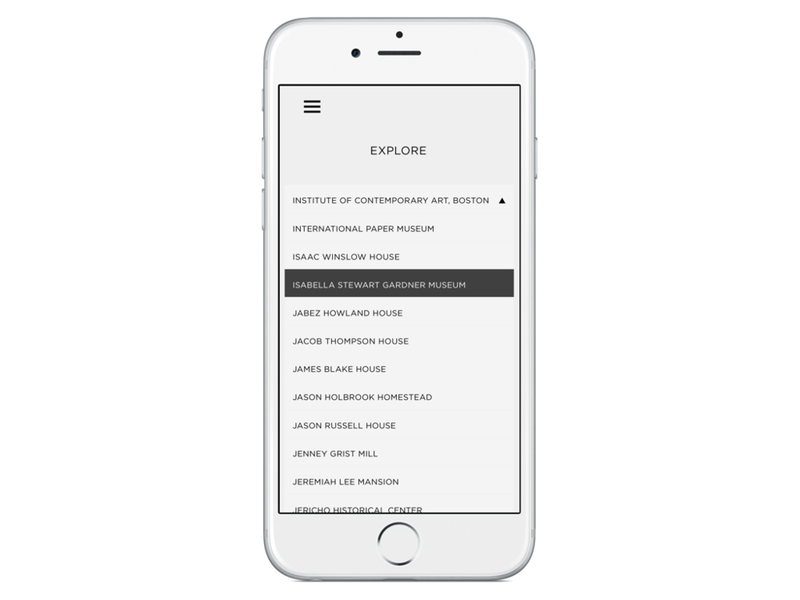 Navigational application for mobile devices designed to allow users to curate their museum experience. 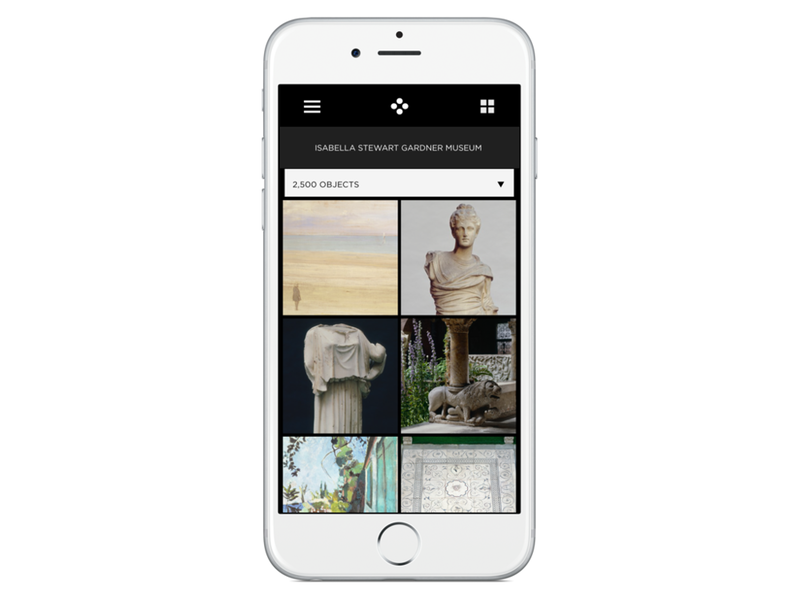 Application prototype focuses on museums located in Massachusetts, featuring the Isabella Stewart Gardner Museum in Boston. Whether the user is a first-time or returning visitor at the museum, the application allows the user to plot a route for each visit within his or her timeframe. 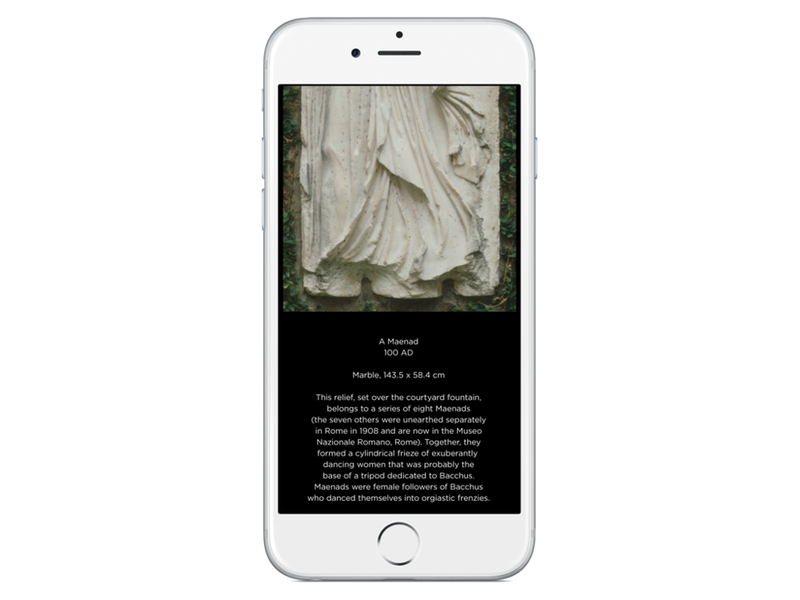 By browsing the selected museum’s collection, the user can filter desired artwork and select pieces to view which will then be converted to a specific route through the museum. Users can make their own routes or choose from the museum’s featured routes as well as the routes shared by the community of users. Application screen captures presented on iPhone 6+. Art catalog designed for the St. Botolph Stairwell Gallery show Rhythms, featuring artists Mary Dondero and Peter Diepenbrock. Collection of poetry volumes featuring writing by influential modernist poet T.S. Eliot. The first volume, Four Quartets (1943), includes the four poems Burnt Norton, East Coker, Little Gidding, and The Dry Salvages from the original publication of Four Quartets which were written and published over a six-year period. The second volume, Prufrock (1915), includes one of T.S. Eliot's most well-known poems The Love Song of J. Alfred Prufrock. Project created in collaboration with designers Mallory Sluetz and Tim Walsh. “Peer” is a platform designed to bring artists together to collaborate. The service would allow students from different schools and backgrounds to locate each other and exchange information using the Peer website. In addition to using this online tool, artists would be able to meet in a designated physical space, inspired by the existing Artisan’s Asylum in Somerville, Massachusetts. Mallory, Tim, and I developed our concept and wrote our animation narrative as a team. My responsibilities included illustrating the entire hand-drawn animation as well as contributing to the content and design of our process booklet. Re-designed logo for Simplified Property Solutions, inspired by the cityscape of Boston as well as the request for a clean and simple appearance. Logo for Opal Ocean Organization, inspired by the beauty of the natural world. The vibrant colors of opal stones and the cyclical movement of an ocean wave converge in a Fibonacci spiral. Business card developed for Sarah & Heidi Stevenson, co-founders of a thriving local cleaning company. Logo design developed for CodeMovers, a mobile application publishing company which creates and releases programs for iOS and Android. Logo design developed for Boston Bagger, a local company distributing high-quality mechanical parts and custom apparel to motorcycle enthusiasts. Logo design and brand proposal for Boomerangs, an award-winning family of thrift stores owned and operated by AIDS Action Committee of Massachusetts, New England’s leading provider of HIV prevention and wellness services. Promotional sticker sheet advertising local coffee masters Pourmans Coffee Company for the farmer's market summer season. 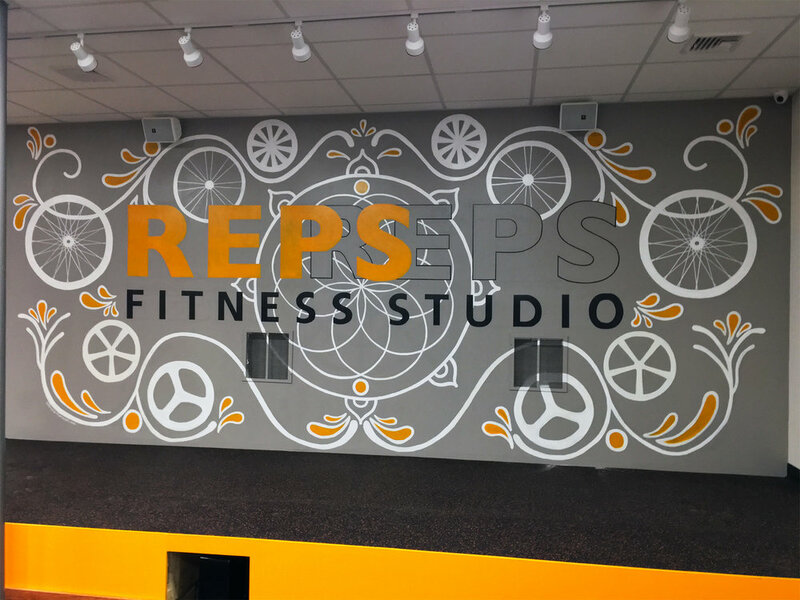 Mural design created for the newest REPS Fitness Studio, located in Jamaica Plain and Beacon Hill, with a third location opening in 2019. More REPS mural work to come!